One of the challenges for any firm is a sustainable approach to value creation. As firms aim to create additional value for their clients, their output comprises a combination of supplementary service activities supporting the development of, or increased utility of, a good or a service. However, products comprising goods and/or multiple service components are complex and add to the logistical and operational challenges of product delivery across international markets. Although the use of innovative technologies for international service delivery is available to the firm, some degree of direct interaction may still be required for various types of supplementary services, such as customised design, installation, maintenance and on-going after-sales service support. 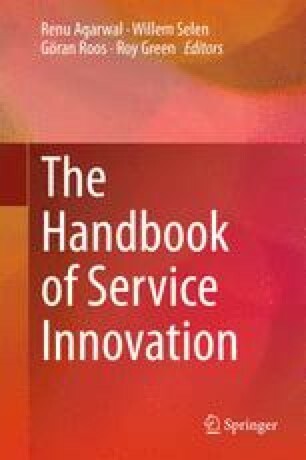 By undertaking an exploratory case study of four Australian firms, operating in industrial markets, this chapter seeks to assess the use of service innovative technologies in the delivery of supplementary services to international clients. For all case study firms, the delivery of supplementary services formed an important component of their international strategy. In particular, the provision of maintenance services was assessed by senior management as their company’s competitive advantage. A key finding is a preference for direct delivery of services, in conjunction with technology. This is for two reasons—first, not all service-related problems can be successfully resolved via technology; second, is for the firm to retain the ability to provide customer relationship building, specifically for the purpose of enhancing value creation.